Welcome back to the heart of the Mohawk Valley! I know most of us are experiencing winter, but let's step into the spring of 1781, shall we? The Revolutionary War has been raging for a half decade, but the battle to decide the fate of the war will be fought before the year's end. The perfect time for a tea party and to become reacquainted with old friends! Please also join us on Facebook, 1-3PM Eastern, for more fun and prizes! 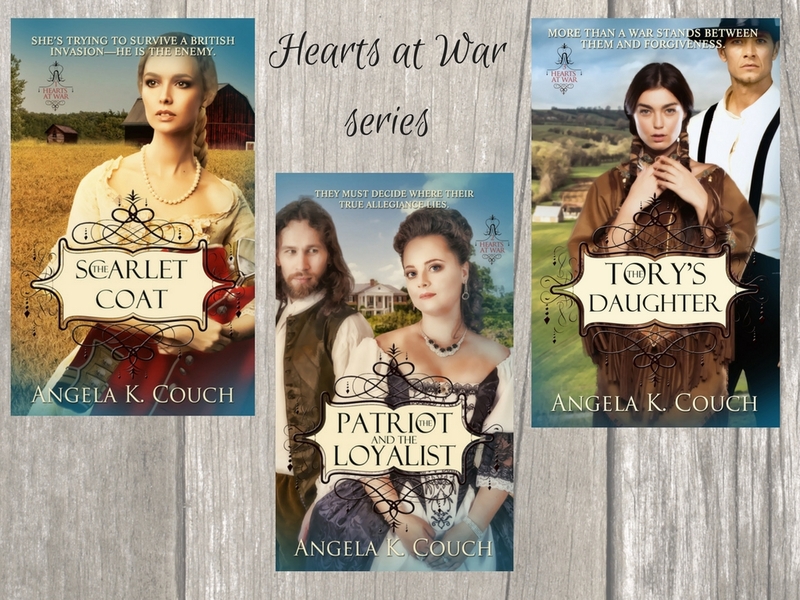 Angela K. Couch: Almost two years ago you joined me in Rachel and Andrew's love story in The Scarlet Coat, where were were introduced to Rachel's brother Joseph Garnet. Book two, The Patriot and the Loyalist took us south to South Carolina for a more "cloak and dagger" style of fight. Now we are back, to join Joseph as he discovers what true love really feels like. 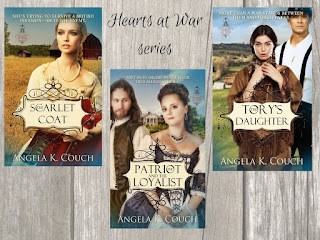 To celebrate with you, and to kick of the Christmas season, Angela Civil War story: I Heard the Bells, winner of the ACFW's Virginia chapter's short story contest, is free on Amazon for the next three days! Hope you enjoy! Publisher’s Overview: Lighthouses have long been the symbol of salvation, warning sailors away from dangerous rocks and shallow waters. Pegg Thomas was the lead on new release The Great Lakes Lighthouse Brides Collection from Barbour Publishing. Her novella, Anna's Tower, is set in 1883 at Thunder Bay Island Lighthouse near where Pegg lives in Michigan! Blurb:Anna Wilson's plan to be the next lighthouse keeper is endangered when Maksim Ivanov is shipwrecked on Thunder Bay Island. Handsome and capable, he could steal her dream. Or provide a new one. 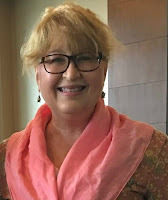 "Love's Beacon" novella is set at Round Island and on Mackinac Island in Michigan in the late 1890s, one of Carrie's favorite places for story world. 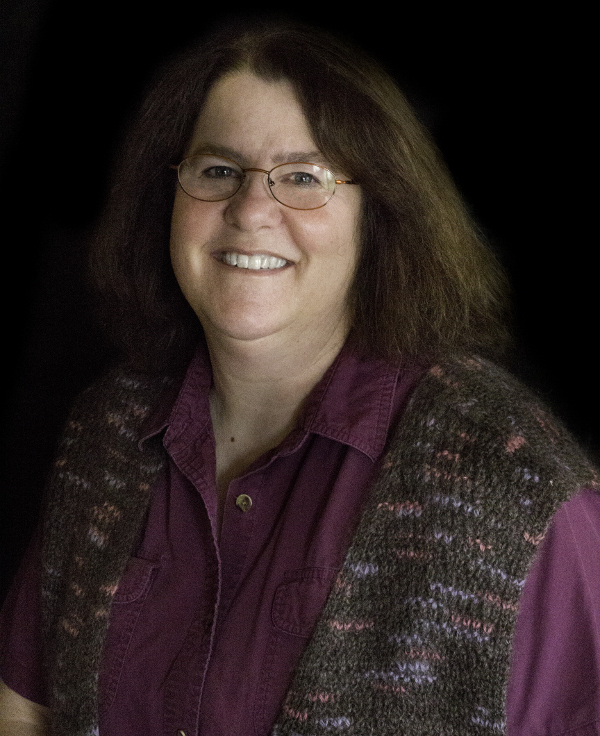 Blurb: Valerie Fillman believes she’s lost everything—until widower Paul Sholtus takes on the Lighthouse Keeper position at Round Island Lighthouse, where her parents and siblings perished. Can God send a light and direct the paths of these two? Or will a shocking discovery separate them forever? 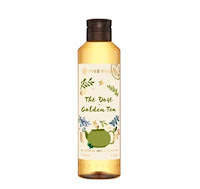 Carrie is giving away some delicious Twinings Christmas tea and a copy of The Great Lakes Lighthouse Brides collection and some Thé Doré (Golden Tea) Shower gel from Yves Rocher. Leave a comment to enter for the prizes! 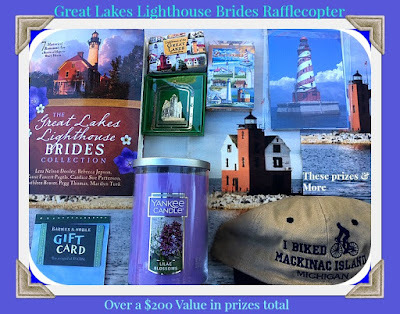 There is also a Rafflecopter for The Great Lakes Lighthouse Brides collection and includes a three boxes of fudge from Joann's Fudge, too, and other gifts not shown in the picture. Ends in one week so enter now! Pegg is giving away a leather-bound journal because where would be historical writers be without the journals of those who went before us? There is no greater treasure trove for a writer than a journal from the time period they are writing. Who knows, maybe your journal today will inspire a writer - or even your family members - in the decades to come! Make a comment below with the word JOURNAL in it to be in the drawing. Pegg is also giving away "300 Writing Prompts" to anyone interested in writing for themselves. This book, which is similar to a journal, gives the writer a subject and space to write down their thoughts on it. The prompts are thoughtful and would be another great idea to hand down the family as an heirloom. Make a comment below with the word PROMPTS in it to be in the drawing. Also Visit With Us LIVE! We're thankful for our readers and we're happy to be celebrating over on Facebook at our party from 1-3 PM Eastern Time. Click here We'll each have a half hour slot to visit with guests: Pegg at 1:00, Carrie at 1:30, Angela at 2:00, all Eastern Time. Happy Tea Party Day Ladies! I hope to stop by the Facebook party later. Wonderful! SO glad you could join us today. Good morning, Andrea! I hope some of the snow has cleared so your sleigh can magically bring you to the party! Hugs! Personally, I'm just here for the refreshments. :) Let me pass you some. SO glad you could come by! I made gingerbread with real blackstrap molasses, the special ingredient to bring out the colonial flavor! Would you ladies care for some? So good on in the fall and winter. I made gingerbread cookies just the other day. A lovely day for a party as long as it is indoors...lol. The skies are grey and the fog just won't lift, so I think tea, a sweet and a party are exactly right! Congrats ladies on your new releases. I have had the opportunity to read and thoroughly enjoy both Carrie's and Pegg's, but I have not read any of those wonderful looking books by you, Angela. Thanks for the free story - I have already downloaded it. Now for tea, sweets and a visit! Angela is a very good writer, you'll enjoy it! It is a rainy day here, but a lovely day for a tea party. Looking forward to chatting with you ladies! Have a blessed day! Good day, Joy! We have rain here in Yorktown, too! Come sit by the fire with me and I'll bring you some of that fresh gingerbread and some clotted cream to go with it and the cherry scones! 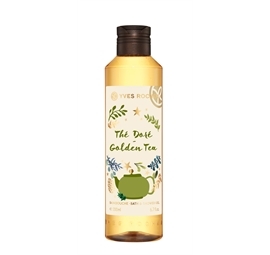 Per random.org you won the Golden Tea body wash from Yve Rocher (I love their products!) Congrats Joy Ellis! Oh wow! Yay! That's awesome! Thank you so much! We're glad you stopped by here, anyway. you can still get in on some of these goodies. I have a lovely tea chosen for today. Looking forward to hearing from all of you. Oh my, so you brought your own tea? Let me make you your own special pot of hot water. If you can, please let us know your name, dear guest! Good morning Marilyn! I'm about to put the tea kettle on the fire. Would you like Christmas tea, autumn, green, or black tea? There should be gingerbread from the hearth soon, too! Can't wait for the blog this afternoon! Excited to see you there. Yipeeeee!!!! Today's party day! Can't wait for it to start! Yes and it has started right here on the blog, Beverly! Thanks for coming by! Am starting on some chicken pot pie tavern style in a few minutes! A lovely day for a tea party, and as chilly as I am right now, I would love some. A favorite lately has been a chai spice tea by Bigelow, though my go-to is the Lemon Ginger with probiotics by Bigelow. I have also enjoyed in this season a cranberry vanilla something or other by Celestial Seasonings. I'm thinking a cup of hot tea would be the perfect compliment to starting a writing PROMPT in a beautiful new JOURNAL. Those all sound wonderful, Kelly! I wish we had Cheryl here with us feeling all better and able to enjoy somet tea and scones with us! Hugs! God bless you right back, my friend! CHRIS I can get on Google and on blogger on our PC but it won't cooperate on Mac so I dk what is happening! Tea for you? Hoping to join you on Facebook later today! Glad to see you here, Kag! Pegg should be up shortly! I am in the kitchen cooking for our event right now! 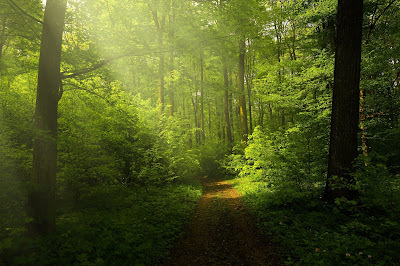 Wait no longer we are here on the blog responding to our guests now. And we have some lovely party bags for our visitors who win! Looking forward to joining you later. Loved reading your blog post! 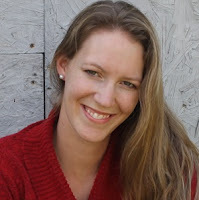 Happy to see you now, Jennifer, and we look forward to the "in person" Facebook event as well! Hey Jennifer! Waving to a fellow knitter! your name will go in the tricorner hat, Debbie! I couldn’t sleep this morning so I was up at four and have cleaned my house andalso the garage which was a mess from hubby hunting and my Christmas decorations. Now I can sit for a spell and enjoy some tea with you. Thank you so much for hosting me. May you all have a blessed and Merry Christmas 🎄🎁. The tavern workers have gotten this place spotless, too, Leila. I wish I could acoomplish all that but with my RA it isn't happening! Thanks for coming by. Do you like gingerbread? If you have any extra energy ... my garage is a mess too! I love gingerbread, Carrie especially gingerbread scones. Peg I’m to tired today but maybe tomorrow. The journal is beautiful. Best wishes to all on your new releases. Oh! A journaler! That's cool. Let me check on Blogger, Sherry. Maybe I can restore it. Do you have a lot of snow still? Hugs!!! Google is playing games with you! Not much snow left. Rain came last weekend and took most of it away. But have no fear here in the north it will return. LOL!! Congratulations, Ladies, on your new releases. Hello ladies! I’m happy to be able to join this tea party today. It’s awfully cold here and I could use a hot cup of tea. See you at the party! Hi Kailey! Let me pour you a cup of the Twinings Christmas Tea! I am drinking a cup right now, myself (really!) The tea pot is hot and ready to pour! I hope it's wet in all the right places out there to help with the fires. Yes, the fires are out, but the flash flooding is a fear right now. I've made three fresh pots of tea. I think I'm ready to party now. Oh dear, I need to find a proper party dress quickly. I think Pegg is coming in her colonial work clothes, so don't worry too much, Andrea, about your gown! Per random.org you have more tea coming to you Andrea lol!!! Congrats! Now you won't run out! Thanks for celebrating with us! Hello ladies. Thank you Angela for sharing your story with us. Carrie, I always enjoy your books and they CQ parties. And Pegg, I appreciate your contributions also. I love to write my thoughts in my JOURNAL and I would also enjoy learning the valuble PROMPTS that could spur my writing. Thanks again ladies but I must now go to FB because of the festivities there. Don't want to be late, I must be PROMPT! Hi Connie! We always enjoy having you visit with us, too! Many blessings to you and best wishes on winning one of the books! Hello from Lake Ann, Michigan. Hi! If you come back please leave your name, thanks! I suspect this is one of my Pals members! Will check the mailing list! What a fun day you ladies have planned! So many good books to read! Hi Sherrinda! The novella collection alone contains seven different stories. I am working my way through them and enjoying all! Blessings! Happy Tea Day Ladies! Great giveaways! I believe you may be a winner of one of those, Shelia. Let me go check and see! went to look but did I win the journal or the writing prompt book? the first one listed is the journal and that goes to you Shelia from Pegg! Congrats! Love the Journal, Pegg! It is a beautiful gift to give away! Those both look pretty great, Joy! It looks like people love journals! I don't keep them any more. I did keep prayer journals for a long time and those really blessed me! I journal monthly. I have a journal for each of our 3 kids and our 8 grandchildren and for myself. I enjoy this blog quite a bit. And thank you for the opportunity to win the leather journal. It's beautiful! Thanks ABBY! We are glad you stopped by! Still serving chicken pot pie and gingerbread and tea! Your party is quite entertaining. Thank you all for hosting. Journal....... Glad I could join you all today from Pennsylvania where we are getting freezing rain right now but the tea is hot and the kettle is on. I love working my way through novellas, so much fun. I finally made it to the party. I hope to mingle as much as I can. I have enjoyed reading the post. Thanks for "I Heard the Bells," Angela. Hi Carrie! Glad you could pop by over here on the blog party, too! Blessings! Journal and prompts! I am enjoying the Facebook party today! Thank you! 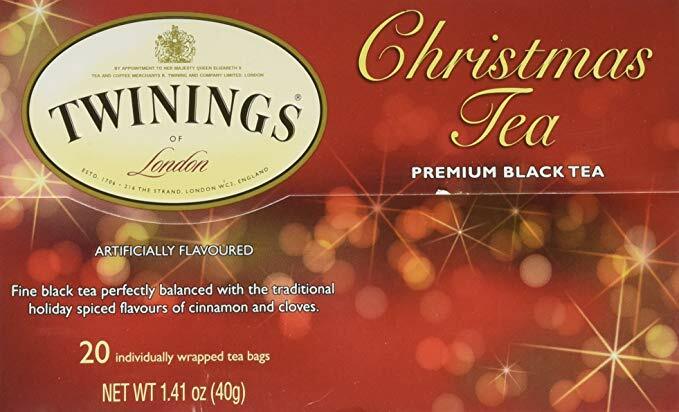 I've been looking for the Twinnings Christmas Tea and haven't found any in the stores near me. Me either! You don't suppose ... *gasp! * ... they aren't distributing it this year? I can't find any Christmas teas in stores either. I think they want you to order them all online. Kelly the only place I can get the fancy teas locally is when I am up in Mackinaw City. The Mackinaw City Bakery has an amazing Tea Shop and they have ALL kinds of wonderful teas so I end up buying there and trying them and when I run out I get them online! Afternoon ladies! I love these tea parties. It is a cold and rainy day here in Maryland, so a cup of herbal tea is in order. Congratulations Carrie, Pegg and Angela on your books! Thank you, Tina! We're so delighted came out! 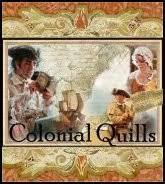 We're so glad you're our Reader/Reviewer on the Colonial Quills blog! Blessings! I love keeping a Journal next to my paperback books so I can jot down notes and quotes. I don't ever write in or highlight in my real books, I was taught at a young age, by a very strict person that was not allowed under any circumstance. I can't even write in Bible study books, I have to have a notebook. And yes, people have made fun of me because of it. of novellas and I highly recommend it. Hi Carrie! 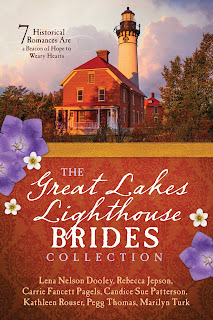 I'm glad you are enjoying the Great Lakes Lighthouse Brides collection! Pegg and I and the other authors enjoyed writing our stories! Blessings! The Facebook party was fun! Congratulations again ladies! I need to make lunch for me and the Butler and get ready for our little Poppet to show up. Hugs and God bless! Where in the great north are you Angela? I too am in the great north. MI’s Upper Peninsula. Thank you, Joy! We're delighted that you enjoyed Pegg and my collection! Congrats, Y'all!!! I enjoy reading these collections. I've visited a few lighthouses and am always amazed at their resilience to withstand severe storms and wind-tossed seas. They're majestic in my mind. I probably missed the entry deadline though since it is after 3 now. Hey Anne! Glad you got to pop by! I love your comparison and comments. You are a writer, my friend! Don't say otherwise! I'll be drawing my own giveaways soon and maybe I can even add a (probably pink lol!) journal for my friend! After all you were a Sugarplum Lady! 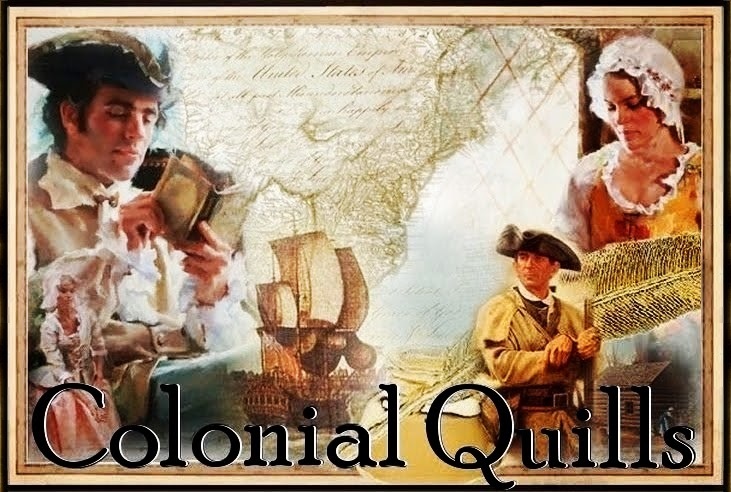 Always enjoy the Colonial Quills posts. Hello to all. Such lovely gifts. The JOURNAL sounds like a great idea (pink or otherwise, Carrie!) Blessings on your endeavors and here's hoping. Hi Anne! Great to see you here! So glad you enjoy our blog! I hope you are staying warm in Michigan! Hugs! Sorry I missed the party. Tried to visit and comment earlier.. Grrr never liked my password! Enjoying the comments with my Christmas tea! Congratulations! Hi Deanna! Glad you could come by. Google has been giving me fits, too! At least on my MacBook Pro. Which is why I am signing in under my website ack! Happy tea party day! I hope everyone had a good time. I had lunch with a book friend and then my Mom dropped by. I missed it all but I know that you ladies put on a good party! 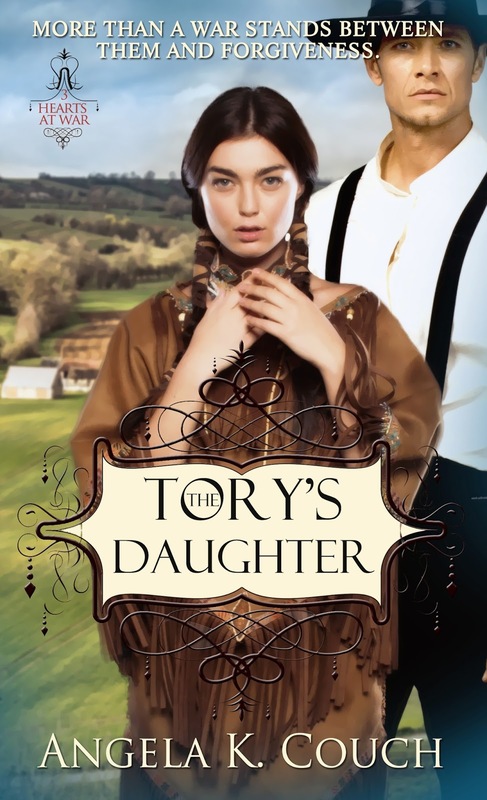 Hi Perrianne, it was SO FUN using your name for my heroine's sister in this novella! Glad you could come by and sounds like you had a super day! Sorry I missed the party ,had to work. Looking over the comments,prizes and new stories that are coming out looks like it was a fun Tea! Blessings to all! Sorry I missed the tea party! Congratulations ladies! I love these parties. The prompts book is interesting and the Lighthouses Carrie had on the pals page are cute. What an amazing group of authors! Love this so much! Carrie, Pegg, Angela Thanks so much for the party. It was Lovely. Amazing to see how Authors are able to come up with so many ideas on books. As for Thanksgiving here in South Africa they don't celebrate it and Glenn had to work but I live in a Guest house and on Saturday after I made the owners, Our Tour Guide, and the staff a Thanksgiving dinner. Made Apple Pie, Fresh Pumpkin Pie, Cheesecake, Turkeys since theirs are small and only get them for Nov and Dec. Mash potatoes with Sweet Potatoes mixed in, Green bean casserole, Carrots and Cranberry Sauce and Stuffing. They now know how Thanksgiving is Celebrated in the United States I wish you all much success and God's Blessings. Merry Christmas. I still have to catch up with the Facebook live. I love to pick up pretty journal(s). But alas i am always afraid of not having my words or handwriting just right so I don't often use them. I still think my writing is rusty so need to simply practice honing it with using writing prompts. Awesome giveaway!! Thanks for the introductions of the books, and for an opportunity to win a journal!